I was inspired to cook this dish when I saw Joyce from Kitchen Flavour cooked it. The recipe was taken from Nigella Lawson from her cookbook “Nigella Kitchen”. Indeed, Marmite on Spaghetti is a special and nice combination. 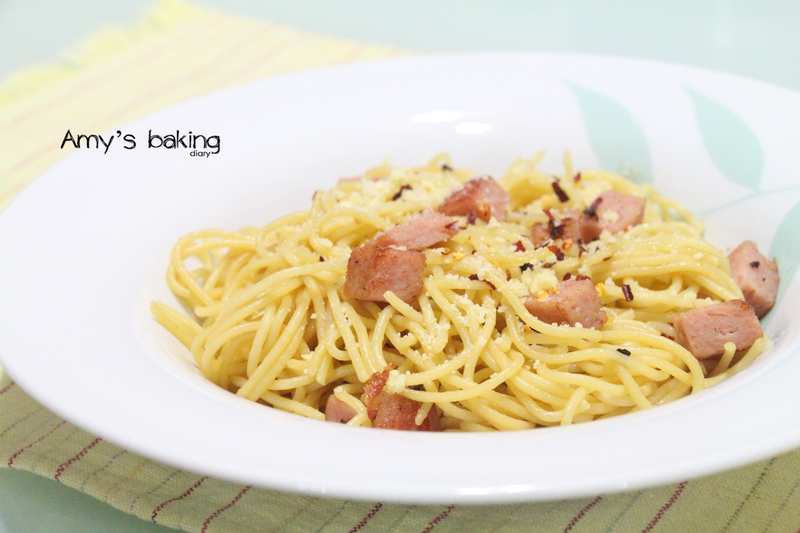 It’s a simple and easy dish to make for lunch. I’m glad my husband and sons love it. Yes, Joyce is right. This noodle was pretty plain without the additional ingredient added. After adding the ham and chilli flakes, this dish has become entirely different. It looks more appealing and, tastier and yummier too! 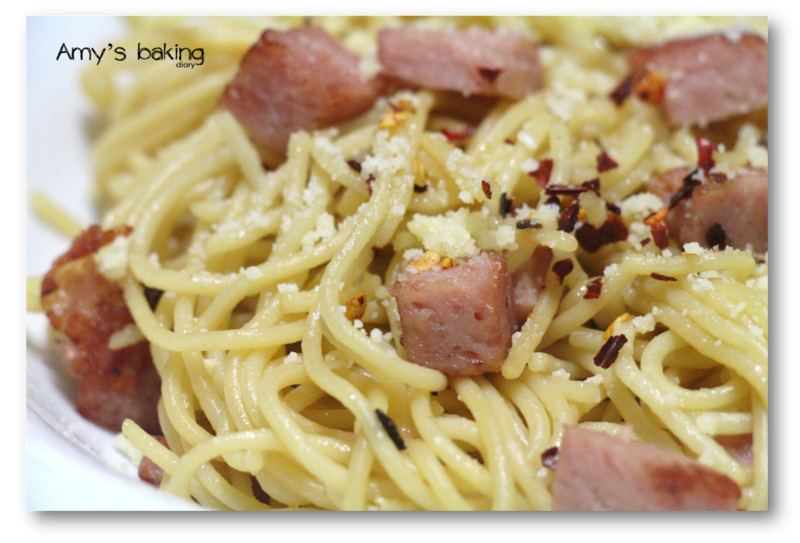 (1)Cook the spaghetti in plenty of boiling salted water, following the package instructions. 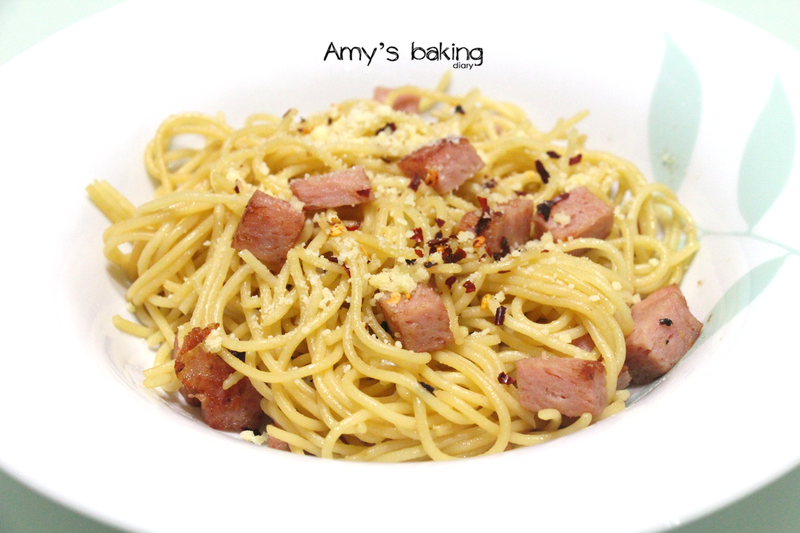 (3)Serve the spaghetti with some fried chopped ham sprinkled over and garnish with chopped chives, and some coarse chilli flakes if desired. Wow! Cook Like A Star is celebrating it’s 2nd anniversary. Congratulation for making it thus far! 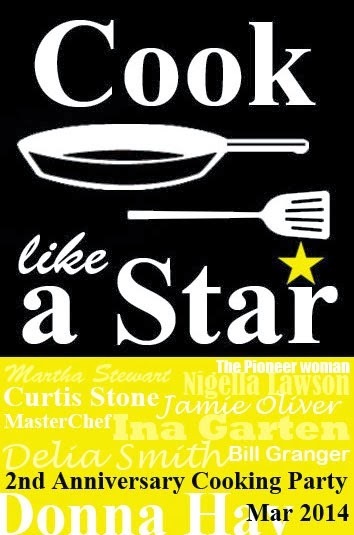 For March and Apr, Cook Like A Star is having an All Star Anniversary Party and we’ll be cooking and baking from any of the previous featured chefs' recipes. Come! Join us for the party. Spaghetti and Marmite its indeed something different! I love that you have used SPAM! And glad that your family enjoy this as well! Hi Amy, glad to know you via your wonderful blog. This looks like a simple but delicious meal for me too cook for lunch.